Boots are essential in cold destinations where Zodiacs are used to transport travelers ashore. Convenience. Boots are shipped to your home with a return shipping label. Sustainable choice. Renting is a smart environmental choice if you will likely not wear the boots and/or waterproof pants again. By renting both the Reduce & Reuse part of 'Reduce, Reuse and Recycle' are implemented. Rental boots will be delivered to your home. Order 30 days before embarkation date to allow time to try on your boots and for more economical shipping. Order online up to 14 days prior to your embarkation date. Orders 13 - 6 days prior to your embarkation date may be possible through contacting Customer Care. Orders 6 days or less: sorry, boot rentals are not possible. Non-return charges: $100 for boots not returned to the address on the supplied shipping label or returned damaged. Boots cannot be left on board. Boots left on board are considered not returned and you will not be refunded your deposit. Though essential for wading in icy waters during Zodiac landings, the proper boots are bulky and weigh between 4.5 lbs / 2.5 kgs to 6 pounds / 2.73 kgs. By renting boots, you will have the best boot to stay warm and dry. Our rental boots are sanitized after each rental using products that have been proven to work in U.S. high-end ski resort rentals. 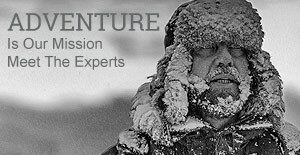 Comfortable, insulated boots are essential for expeditions to the Arctic. The Zodiac Classic High Boots are flexible, durable and will keep your feet warm. A range of women's, men's and children's sizes are available.